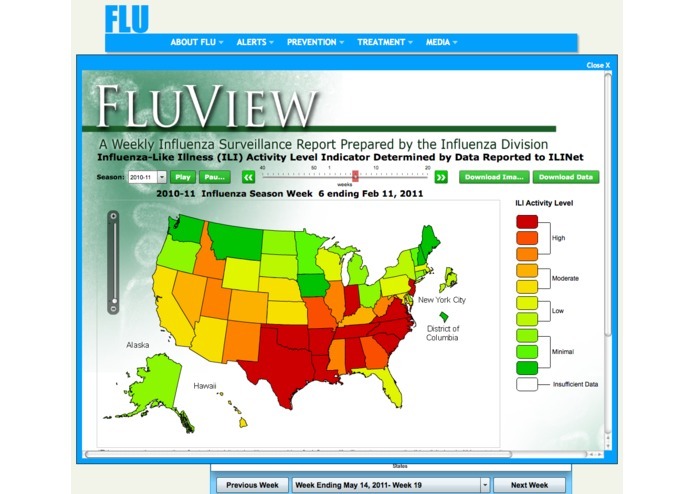 About : Provides general information about flu, local resources, etc. 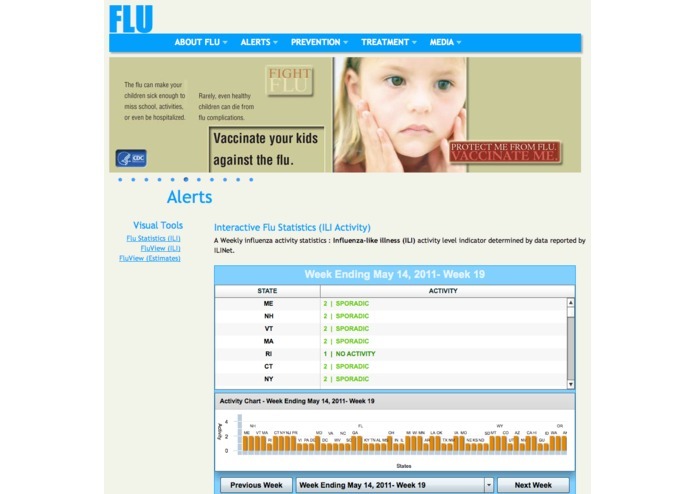 Alerts : Contains latest charts, maps, activity indicators of flu, etc. 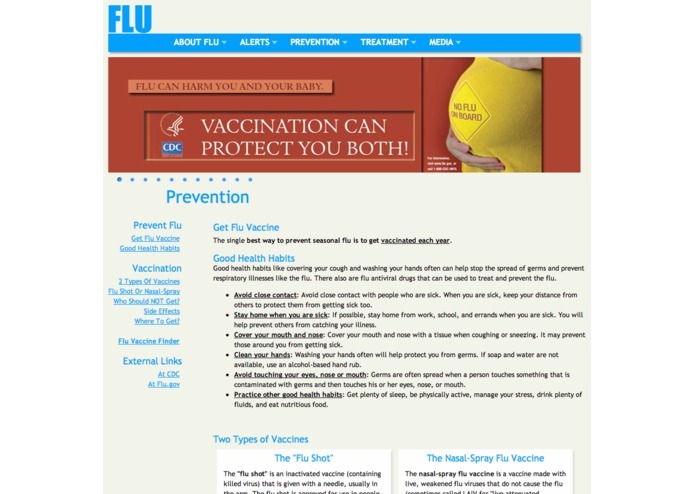 Prevent: Provides information about prevention, good health habits, vaccination, flu vaccine finder, etc. 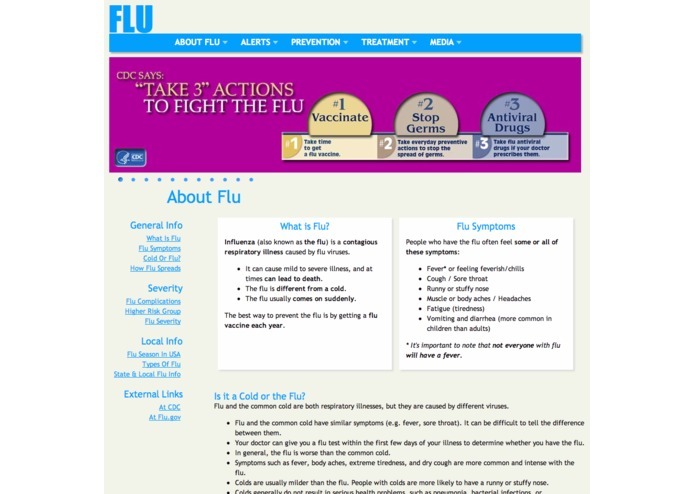 Treat : Consits information about diagnosis, treatment of flu, etc. 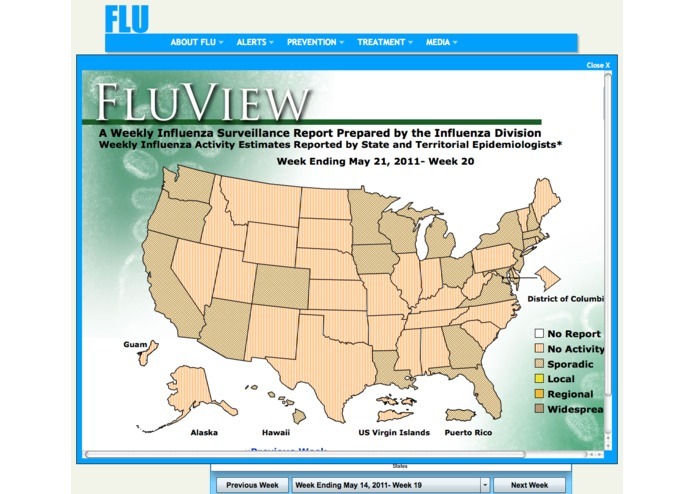 Media : Provides latest news, updates, (RSS feeds) about flu, etc. Note: This web site is designed to be used via computer's web browser. The site in its current form is not suitable/intended for mobile phone browsers.